… a digital film festival based in Bucarest, since 2007, one of the most significant in the Central-East Europe. Our goal is to promote in Romania the new film making, the diversity and creativy in video art, innovating technics, interesting artists. We bring together superpremium films in very different styles and genres - about 300 of the best shorts in the world, from 25-35 countries; most of them are Romanian premieres (85-95%). The festival is an international competition of shorts, but also includes other events and projects: presentations and screenings of invited artists/films/festivals, music concerts, live performances, a virtual art gallery where we present interesting "non-moving" digital art: graphic-design, photography, illustration. We would like to offer larger perspectives to our public, to gather all digital trends and new techiniques, to have films and music, graphic and video art. Our latest project is an educational programme developed in high schools, in order to popularize the digital film technics among the young. Although our main event is once a year, we do have lots of activities all year long. … never getting bored of films. We work through a cultural non-profit organisation (Asociatia Kinofest), and we do about 80% of this festival. Kinofest is an independent project, self-supported (we sell publicity in the festival - the brands reach their customers in unconventional ways, within a relevant context), fulfilled pretty much through voluntary work (here are our volunteers!). ... powered by well-known artists of the Romanian indie movement, who have a lot of fans amongst the digital art fans. The concerts of each edition include an interesting unusual combination of live performance, digital music instruments and visuals in syns with the music. Some of our concerts: Toulouse Lautrec, The Backstage Hero, Brazda lui Novac, Brazda lui Novac, Hotel Fetish, The Pixels, Les Elephantes Bizzares, Minus & Ion, Freaqx, TunnesInnaOurHeads. I therefore, invite you to join us in this ambitious project, in Bucharest, hoping only for the best! Because we have so many good ideas and we need funds to make them happen. Because we offer a great content (the best and the biggest short film selection in Romania), and we’re so good in what we do - but without enough money, we can’t organise the event at it’s true potential. Your donation is necessary and highly appreciated. 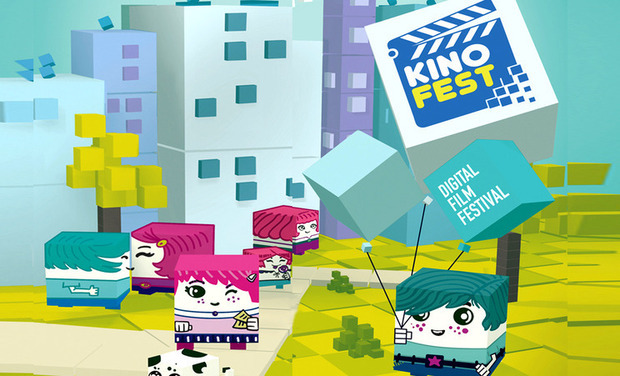 We’ll mention your name on our Facebook wall, when we publish a short film (Kinofest daily film). You’ll be presenting our everyday film on our Facebook wall. A funny personalised postal card (online) + 5 shorts from our selection (we’ll send you the links, to see them online) + we’ll mention you on our web page + an invitation to the festival (one day). We’ll send you our poster with a dedication + 18 shorts from our selection (we’ll send you the links, to see them online) + we’ll mention you on our web page + a full pass invitation. If you have a pitch, or a short film/video (up to 120 seconds) we will show it in the festival (a special screening program) + 30 shorts from our selection (we’ll send you the links, to see them online) + we’ll mention you on our web page + a full pass invitation. 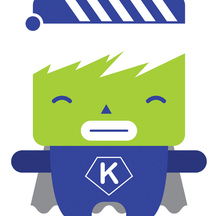 We’ll send you the festival kit (bag + a DVD with the best shorts from Kinofest + our collection of posters + our comics magazine + catalogue + the program) + we'll project your name/brand at the festival + we’ll mention you on our web page + 2 full pass invitations. We’ll project your video spot/commercial (max 30 sec) at the event + your logo/name in our online campaigne + we’ll send you the festival kit (bag + a DVD with the best shorts from Kinofest + our collection of posters + our comics magazine + catalogue + the program) + 4 full pass invitations. You become an official partner, your logo will be present on all our promotional materials (printed, online), and we’ll project your video spot at the event + We’ll send you the festival kit (bag + a DVD with the best shorts from Kinofest + our collection of posters + our comics magazine + catalogue + the program) + 6 full pass invitations. A dedicated space of 2x3m to present your startup/project/installation at the central event (you’ll support the transportation and mounting) + partnership (your logo will be present on all our promotional materials, printed and online, and we’ll project your video spot) + we’ll send you the festival kit (bag + a DVD with the best shorts from Kinofest + our collection of posters + our comics magazine + catalogue + the program) + 6 full pass invitations. A dedicated screening program of great shorts (announced in all our programs, newsletter, etc) + partnership (your logo will be present on all our promotional materials, printed and online, and we’ll project your video spot) + We’ll send you the festival kit (bag + a DVD with the best shorts from Kinofest + our collection of posters + our comics magazine + catalogue + the program) + 6 full pass invitations. You support a workshop (we’ll promote you at this event in any way you want) + partnership (your logo will be present on all our promotional materials, printed and online, and we’ll project your video spot) + a full kit of the festival (bag + a DVD with the best shorts from Kinofest + our collection of posters + our comics magazine + catalogue + program) + 6 full pass invitations. A trip to Bucharest for 2 perssons at the festival (3 days) + a special place of your logo/name in all our campaigne (printed, online, etc) + full passes + a full kit of the festival (bag + a DVD with the best shorts from Kinofest + our collection of posters + our comics magazine + catalogue + program). Kinofest cinema-bus: we customise a bus with you logo/name/poster (1 month), and we’ll project shorts (8 hours) in the bus, while it goes touring in the city, plus an unplugged concert + Partnership (your logo will be present on all our promotional materials, printed and online, and we’ll project your video spot) + We’ll send you the festival kit (bag + a DVD with the best shorts from Kinofest + our collection of posters + our comics magazine + catalogue + the program) + 10 full passes. You become our main partner, you present the festival. We’ll offer you most of the benefits from the other donations. Also, you can tell us what would you like to receive from us.